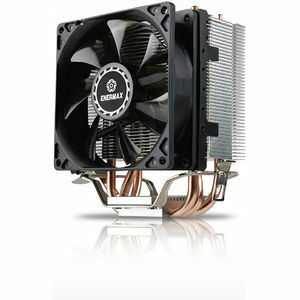 ENERMAX ETS-N31 is an effective cooling solution for entry-level systems. With its compact-size design, ETS-N31 provides superb compatibility with chassis and RAM modules. The heat sink incorporates with patented VGF (Vortex Generator Flow), VEF (Vacuum Effect), and HDT (Heat pipe Direct Touch) design to ensure rapid heat dissipation and remove hot spots on CPU swiftly. ETS-N31, an ultra-compact CPU cooler, is perfect to small chassis.